If you’ve missed it before, Werkhouse is a weekend design studio experience for young creatives working alongside some of Bristol and Bath’s best professionals. 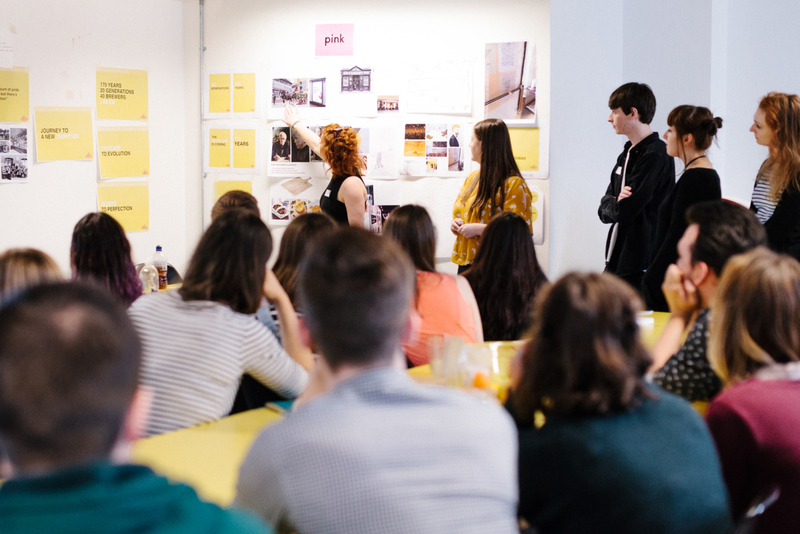 We’re in our third year and the fantastic Taxi Studio team will clear the decks and allow us to use their entire studio for 30 young people and 20 professionals to get stuck into a fast-paced, client-focused brief. 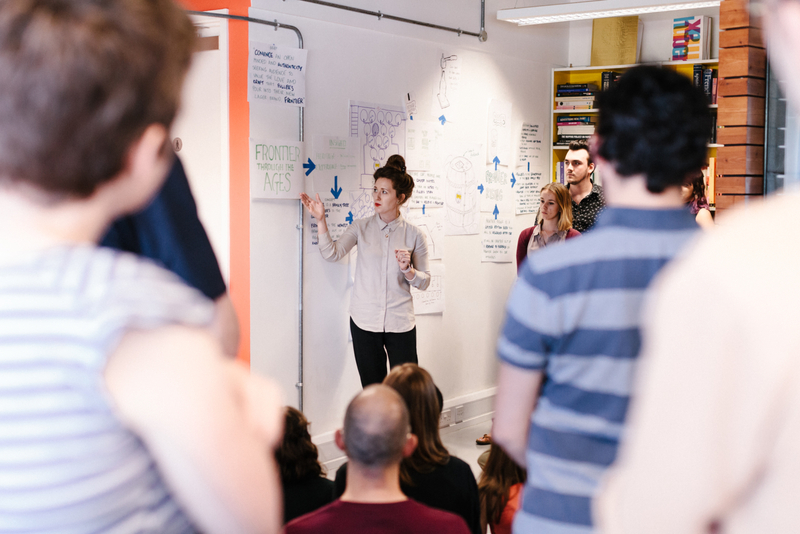 Working in teams and with mentors, participants have two days to prepare and communicate a creative response. Working once again in partnership with WEDF, the application form is up on the website and will be there until the end of April. The workshop is on the weekend of 15 – 16 June and this year is open to 2nd and 3rd year university students, young graduates, and we’re also encouraging applications from young people who aren’t taking the usual university route into the creative industries – maybe because university didn’t work out, wasn’t for them, or maybe because they dived straight into some work projects. Apply at werk​house​.co​.uk (places are free, but limited). At university we work quite individually, but this weekend showed how in industry you cannot hide away your opinion. Werkhouse taught me to have a voice. Your voice matters. One of the reasons we are doing this again is the enthusiasm of the local professional design community to get involved (follow us on Twitter as we announce this year’s delivery team @werkhouseBRS). But the biggest encouragement is the amazing feedback from the young creatives. Last year, Werkhouse was just for 2nd year students so they could all take the learning back into their final year. This year we’re looking more widely for participants, not least because lack of diversity is an issue that the design industry — and all of us as professionals — must tackle. So, we’re excited to have support and advice this year from Creative Youth Network and Rising Arts to help us attract people outside the university route and from a more diverse range of backgrounds. Because whilst there are more female design students (and we get far more Werkhouse applications from young women), the design industry is still dominated by white, able-bodied men. Werkhouse made me want to work more in teams so ideas can be bounced around and developed further. It was an amazing experience. The 2018 Design Economy Report from the UK Design Council found that 78% of the UK’s design workforce is male, 25% higher than the percentage of men in the general UK workforce. Women are also far less likely to be in senior roles, with only 17% of design managers or owners being female. While BAME (black, Asian and minority ethnic) designers are least likely to be in senior roles, making up only 12% of all design managers and business owners. One of the report recommendations was to increase access to design for young people and diverse groups, and the Werkhouse team want to support that. So, please apply and share the details of what we expect to be another intense but hugely rewarding weekend workshop like no other. We have an amazing team of professionals on board, and lots of new faces to introduce – which we’ll be doing on Twitter @WerkhouseBRS over the next weeks. Werkhouse changed the way I thought about the industry. The beginning of a project is now more exciting and I’m not going digital until much later on in projects. Instead I draw and test ideas first.